Dropped by Soup Restaurant's Jurong Point outlet for dinner with my gf. 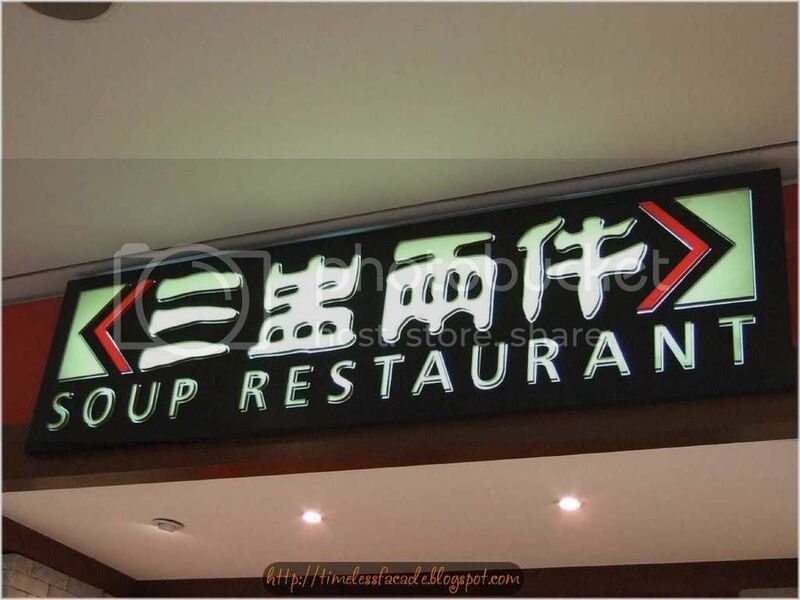 To be honest, I've never tried Soup Restaurant before although its all over the place. Kinda not keeping up with the times I guess. 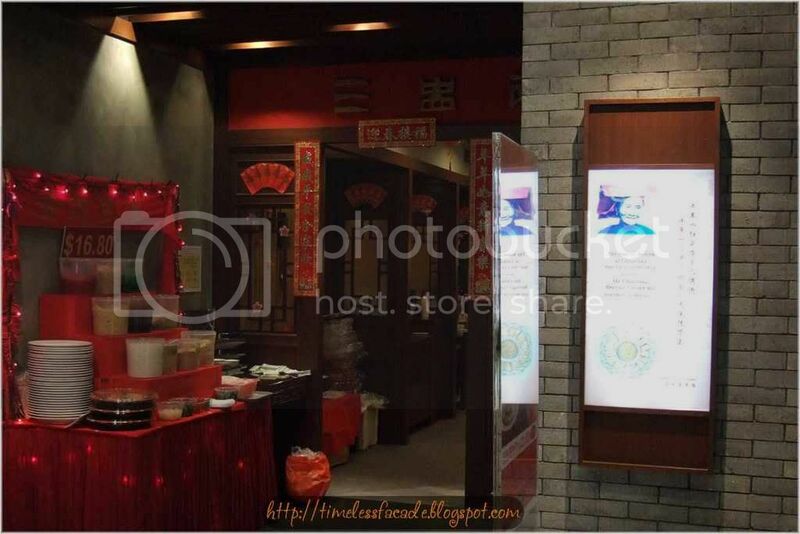 I believe most Soup Restaurant outlets boast more or less the same look, making an effort to replicate the traditional Chinese teahouse style decor. To some extent it does look the part, but somehow the feeling is just wrong. I gather that this dish is the house specialty, as evidenced by the presence of this dish on almost every table. Though nice, I wasn't too impressed by it given that the chicken wasn't as tender and smooth as I would have like it to be. The ginger paste was quite interesting though, a little sweet yet salty, with only a slight hint of ginger. I liked the paste pretty much and thats coming from someone who detests ginger. Pity about the chicken. Not too shabby but could do with more ingredients. 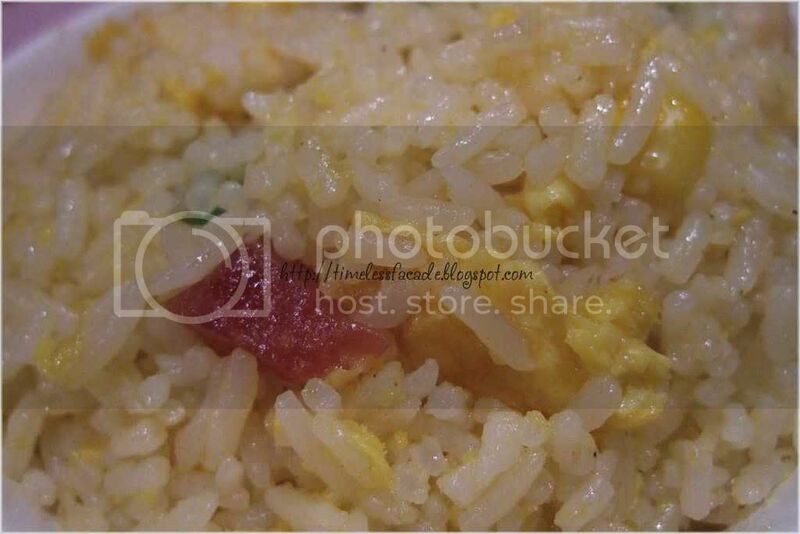 The rice was fragrant and had a slight wok hei taste. The quality of rice was slightly inferior though, with the grains of rice not as fluffy as good quality ones. Weird probably comes to my mind with regard to this dish. The gravy used a tomato base which was a little too sweet and starchy and made me feel nauseous after a while. 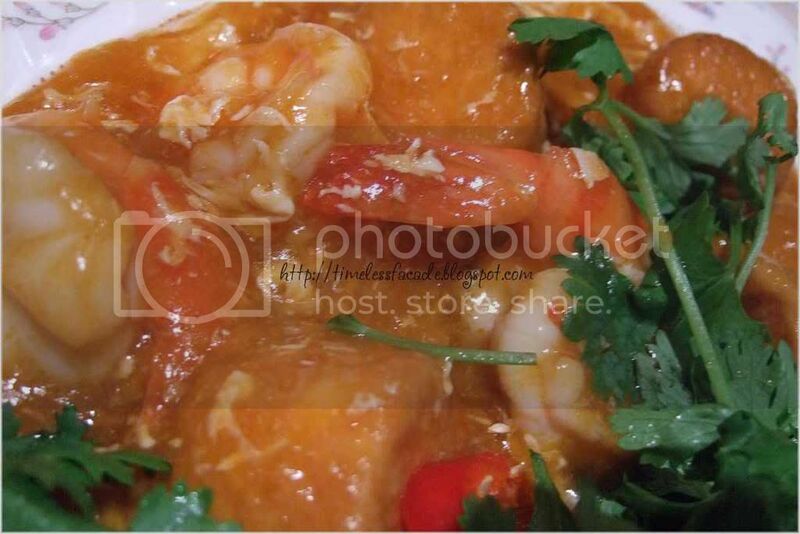 The prawns were still relatively fresh and sweet but the tofu was a little cold and tasted very normal. Add in an overwhelming volume of the gravy and you get something which just doesn't sit well. Dinner for 2 pax cost about $49, which was a little unexpected given the amount of food we ordered. But then again, its a restaurant and prices are bound to be higher. Food is at best slightly above average and service is decent. This will probably be my first and last time visiting Soup Restaurant unless I don't have a choice because I am better off spending $50 for the same quality of food at a Cze Char stall for 4 pax instead of 2. Hi, you should have tried the soup. Soup for 2 comes in a decent serving and even enough for 3 pax. I love the Samsui chicken. (My roots are from Guangdong Province, Samsui *LOL*)The serving of the chicken is quite big eh? 2 of us had a hard time finishing it. Ah I see. 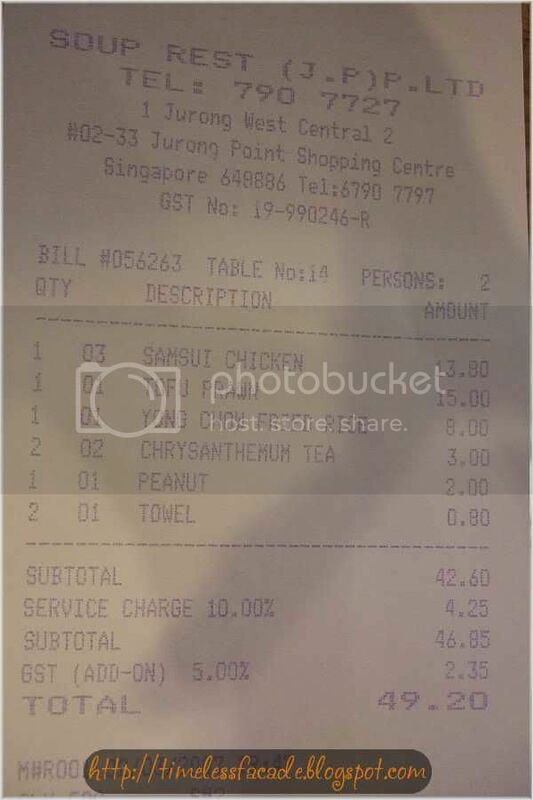 Actually the serving of chicken was big for 2 pax, but the dish that gave us the most problem was the fried rice. After the chicken, we had no more space for a third bowl of rice haha. Yes you should have soup! If dinner for 2 i would order 2 different soups so we can share.